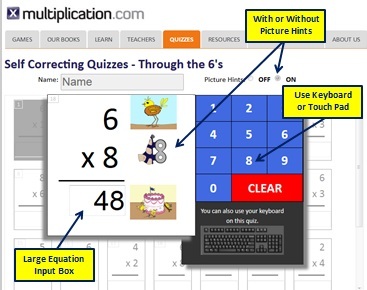 The "up-through" quizzes for the tens, elevens, and twelves do not include all of the equations. They include the top 40 equations. Quiz Navigator - Take a customized quiz with all of the equations up through the fact you choose below.